The Istanbul Chief Prosecutor’s Office alleges that Kanter has been active on an encrypted messaging app for members of the Gülen movement, an Islamic social movement that the basketball player has vocally supported. The government has blamed the movement for a failed 2016 coup attempt—though its leadership denies that members were responsible—and labeled it a terrorist group. Prosecutors have also requested an international red notice from Interpol to locate and arrest Kanter, according to the Sabah, which is widely recognized as a mouthpiece for President Recip Tayyip Erdoğan and has been banned from the European Parliament for spreading hate. Kanter tweeted a screenshot of the report, saying that they could not catch him and should not waste their energy. 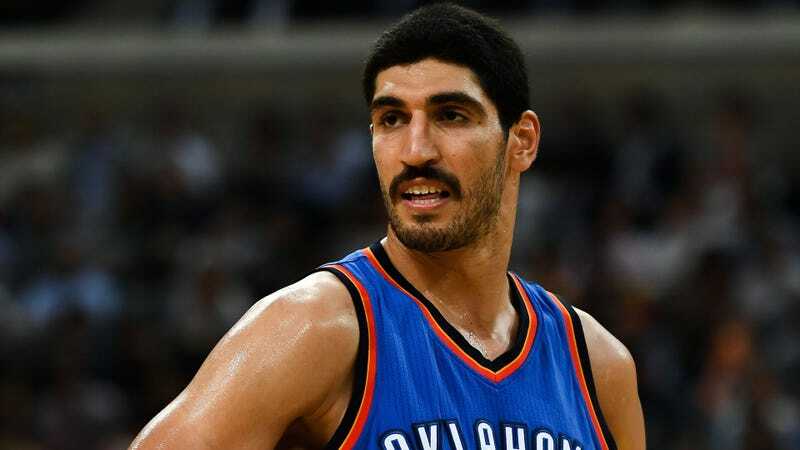 Kanter was detained in Romania last weekend after Turkish officials revoked his passport. He claimed that his political beliefs and vocal criticism of Erdoğan were the reason and was released after several hours of detainment, able to travel to London and then back to the United States on his green card. He said in a press conference on Monday that he hopes to become an American citizen. Kanter has played in the NBA since 2011.